Matey was launched in 1958 and was created to make sure that bath-time was fun-time for you and your child! Sailor Matey was the original Matey character and was followed by three additional characters in the 1960’s: Miss Matey, Santa Matey and Rudolph Matey. Today the original character Sailor Matey is accompanied by Mer-Matey the mermaid, Lucky Matey, the pirate parrot and Doctopus Matey the octopus! Doc-topus Matey is a very clever Octopus and likes to spend lots of time in his top secret laboratory in Bubble Volcano making potions that change colour! The Doc-topus Matey product is a colour change formulation that your kids will love because it magically changes from red to blue in the bath water! Pour into running water and watch the colour change before your every eyes! 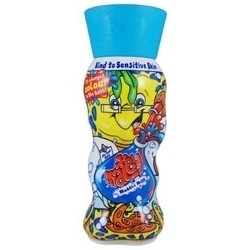 I love matey bubble bath they have really funny bottles that really appeal to kiids and the bubbles it produces are fantastic. The whole range of characters are a favourite in our family. The packaging is classic and fun. A bottle that doubles up as a toy after the product has run out!! What more could you ask for. It is perfect for the kids as it is hypo allergenic. It produces millions of bath time bubbles and is excellent value for money!!! A timeless, classic bubble bath!! Not easy to come across, you can only get it when you catch it being sold. My sons always make me buy them Matey, they absolutely love it. In fact, when I was a child, I used to do the same! The scent is really nice and very child friendly. Fun watching it change from blue to red in the water and the kids think it is the best thing in the world. Fills the bath full of bubbles and leaves the kids clean. "I love matey bubble bath they have really funny bottles that really appeal to kiids and the bubbles it produces are fantastic. It is also..."